Many atheists try to argue that the existence of evil means that God cannot exist. Logically we must examine this argument and see that it does not make sense. The fact that God knows everything and that he is good does not mean that he will not allow evil in the world. 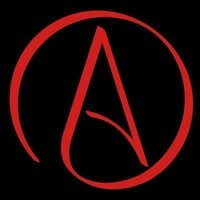 Just because an atheist does not like God standard does not mean God does not exist. Most children do not like the standards that the parents set for them. Some, even call it evil. God’s goodness and his knowledge of evil in his ability to be in control of all things does not mean that he must restrict evil just because men say so. God could have other purposes for allowing evil to exist.